Look out for these sessions at our flagship event in London this November. 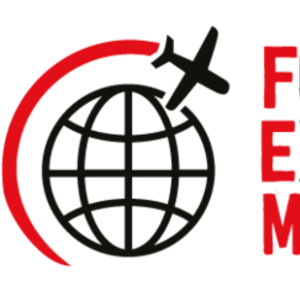 We are delighted to unveil some of our FEM EMEA Summit agenda highlights taking place on Thursday 9 and Friday 10 November at the O2 InterContinental, London. The Summit brings the global mobility community together for two intensive days of expert insight, engaging roundtables and panel discussions, interactive workshops and case studies along with plenty of invaluable opportunities for networking. The general principles and the increased focus of the tax authorities on Business Travellers & Short Term Assignments in The Netherlands, UK and Belgium. What does the triggering of Article 50 mean for global mobility? Is your organisation ready to deal with change? What do the Trump Administration’s new policies on immigration and tax mean for UK and European companies? How does the removal of Australia’s 457 visa affect business? How can you turn these challenges into opportunities? What is the Future Workplace? How are companies and individual roles evolving as Millennials step into more senior positions? What are the implications for C&B and mobility as younger people begin to move throughout EMEA on assignment? How is connectivity changing today’s workplace? How is global mobility affected as employees have increasing ability to work from anywhere? How is technology changing the workplace, and more specifically mobility as a function? What are the opportunities for self-service and process automation? How should technology tie into compliance? A look at the diversity agenda – how has this changed in EMEA in the past few years and what are the areas for future development? More agenda highlights revealed soon!